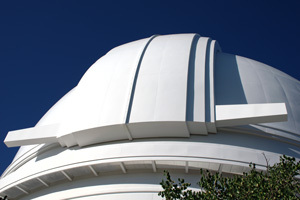 Palomar Observatory is rare among scientific facilities in that there is a very clear design thread running through all the Observatory buildings. 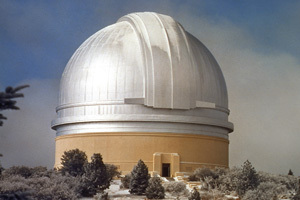 This thread is due to the Observatory's chief architect, Russell W. Porter. 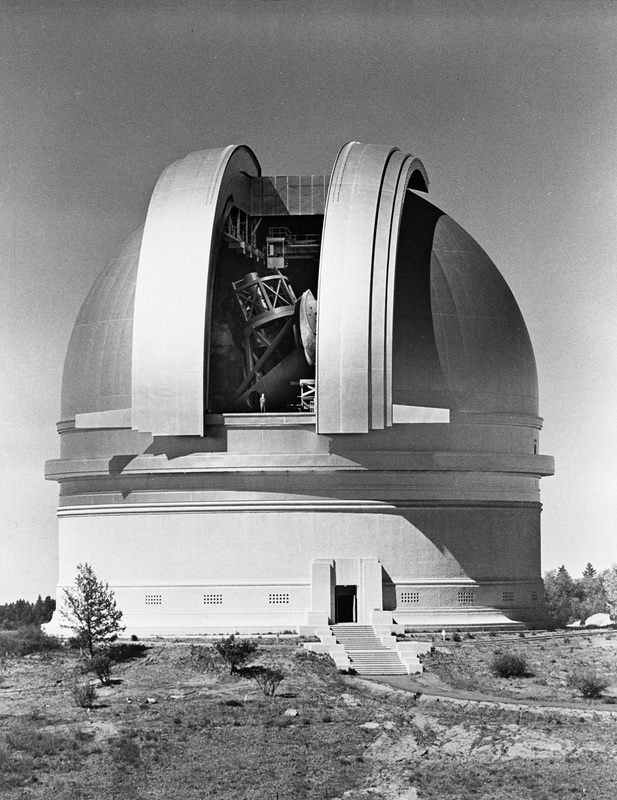 One of Porter's many talents was architecture, in which he received formal education from the Massachusetts Institute of Technology (MIT). 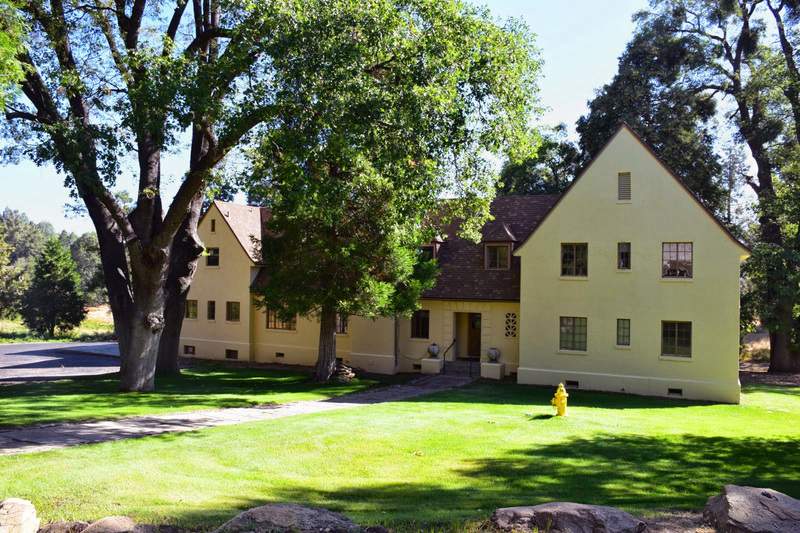 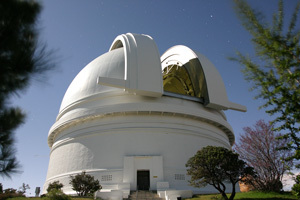 Palomar Observatory layout and building design was among Porter's primary assignments from George Hale after joining the 200-inch project in 1929. 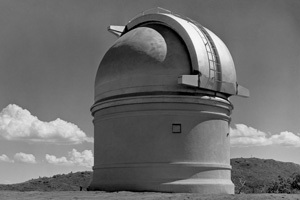 In 1935 Porter visited the Palomar site to survey the undeveloped plateau where the Observatory was to be constructed. During his stay, he developed a sense for the site topography, and how the various Observatory elements (telescopes, staff and astronomer housing, service facilities) would be positioned on the property. Back in Pasadena, he developed a site contour map to inform his site layout and architectural designs. 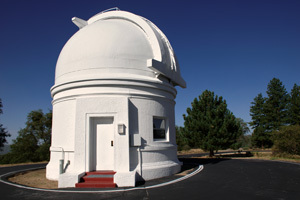 Porter chose Art Deco as the architectural style for the Palomar buildings (along with the machine/instrument and optical shops at Caltech—the latter where the 200-inch primary mirror was figured). 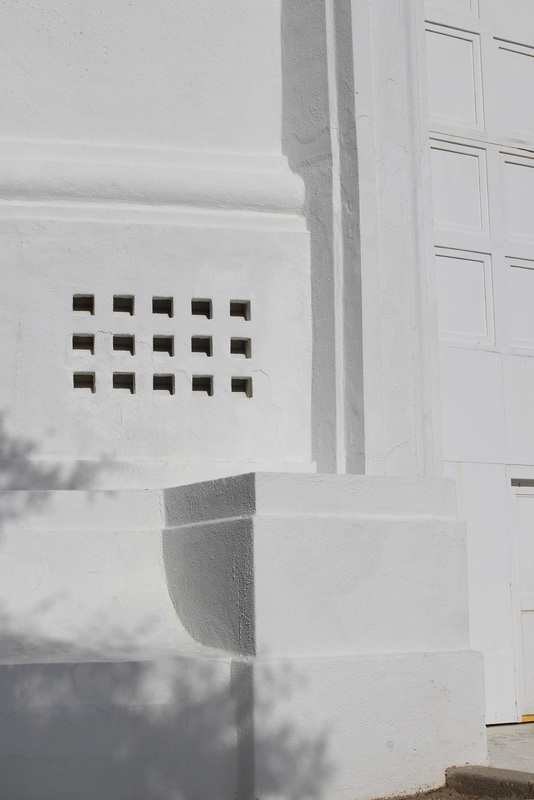 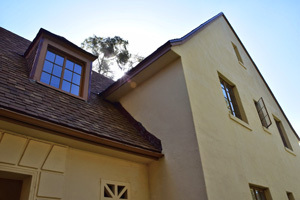 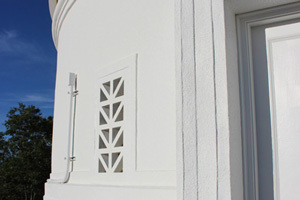 It is reasonable to assume that Porter was influenced in his choice of Art Deco by its prevalence in Southern California architecture in the 1920s and 30s. 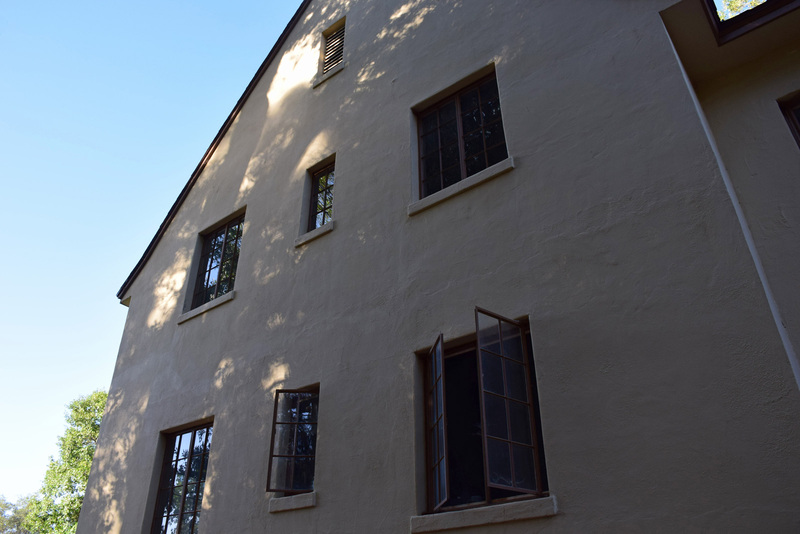 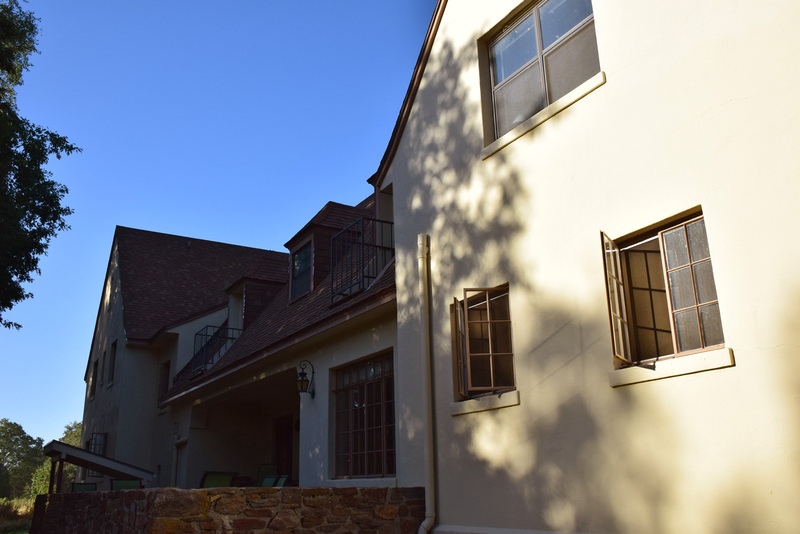 The Los Angeles area where Porter lived and worked had undergone a boom in Art Deco construction in that period, and the modernity and simplicity of more understated Art Deco influences must have appealed to Porter's architectural and engineering aesthetics. 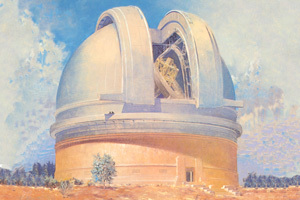 Further, Porter looked to distinguish the appearance of the Palomar designs relative to sister observatories such as Mt. 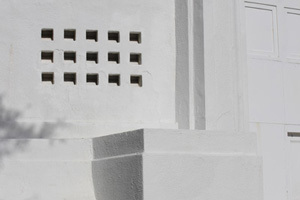 Wilson, whose style he specifically called out as an unfavorable design contrast. 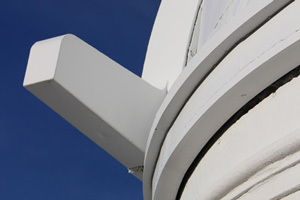 Apparently Porter's arguments held sway with the Council. 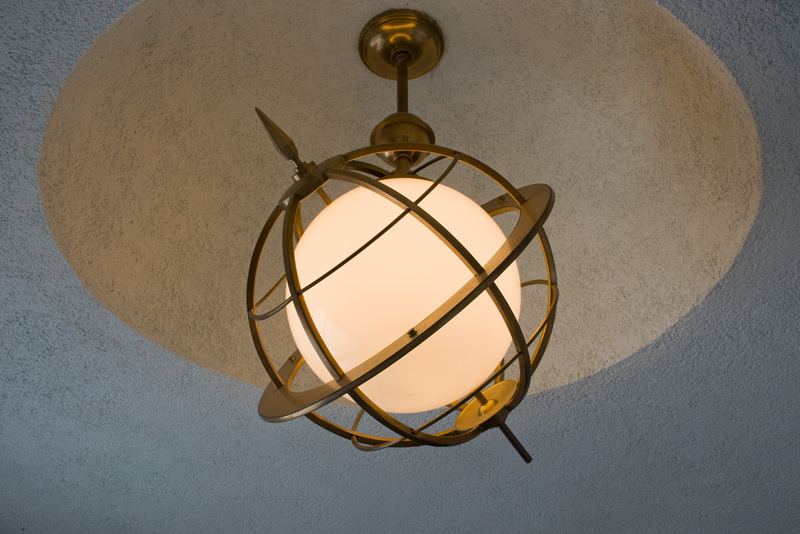 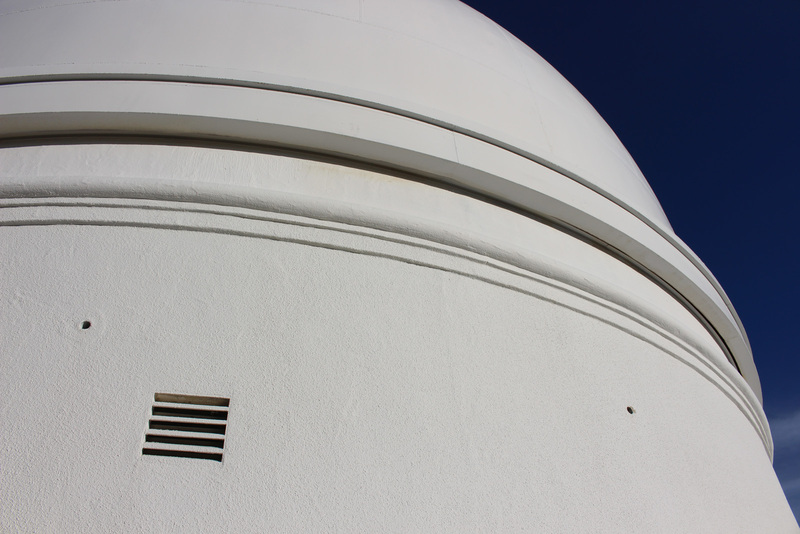 The original three Palomar domes are simple and elegant. 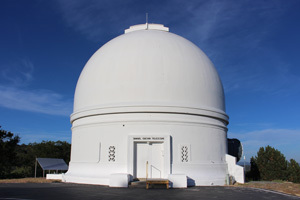 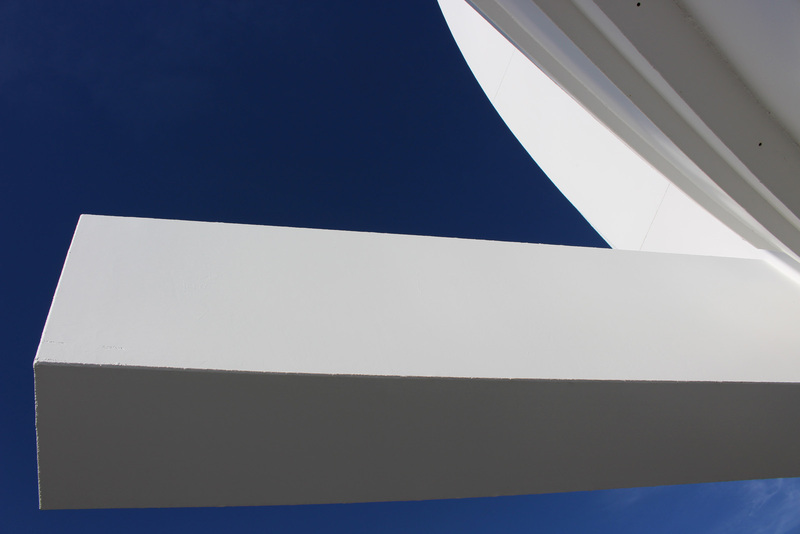 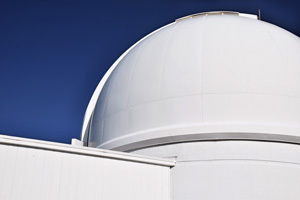 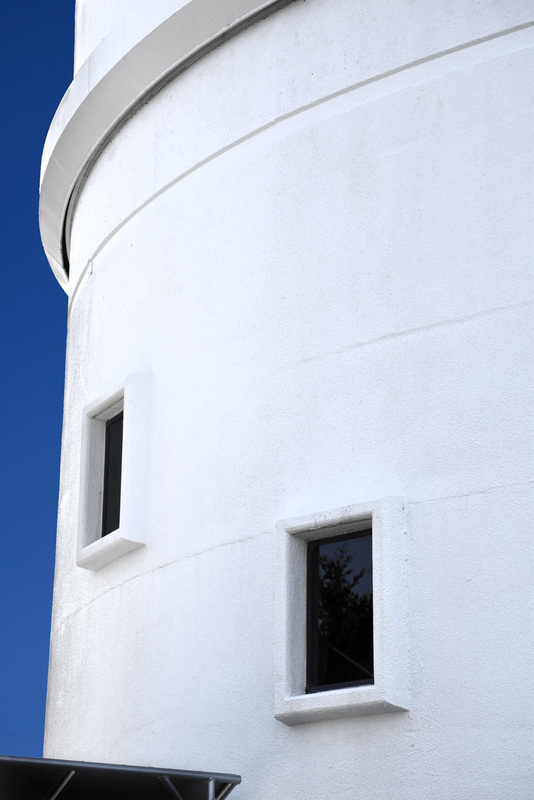 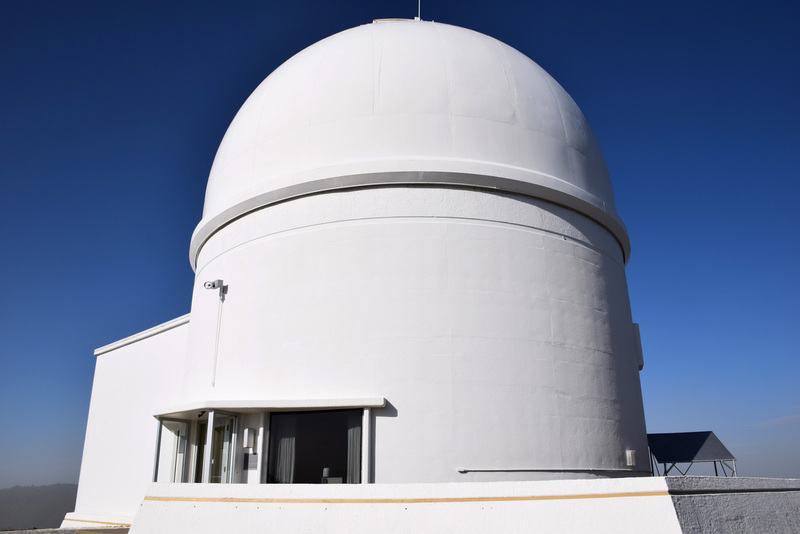 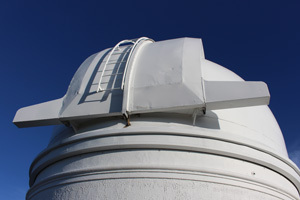 Despite the size of the Hale Telescope dome (it is as tall as a 12-story building), its balanced proportions—its width equal to its height—make it visually pleasing. 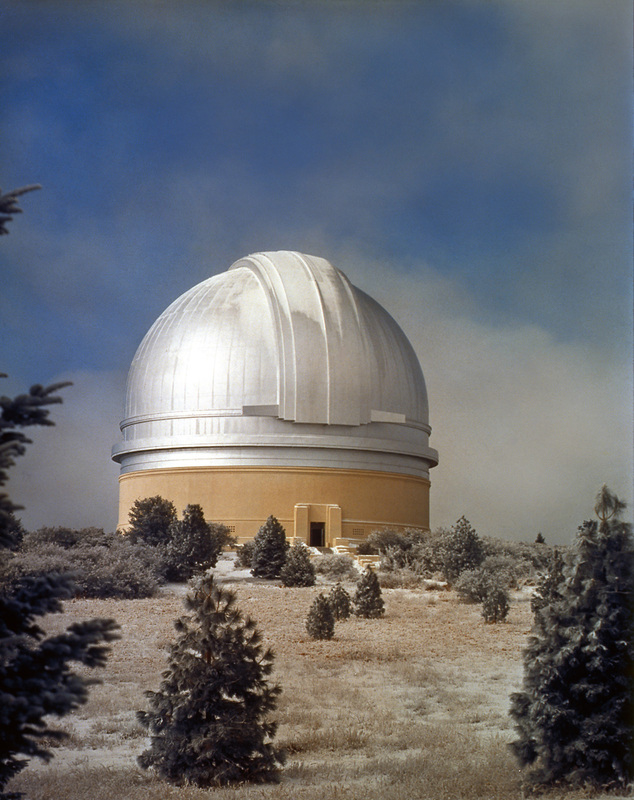 Prominently sited at the center of the Palomar compound, the Hale dome naturally but understatedly dominates the site appearance. 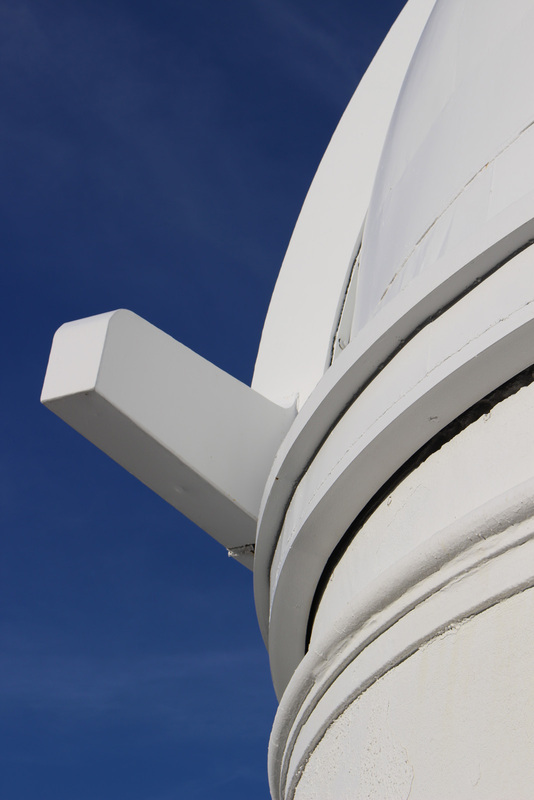 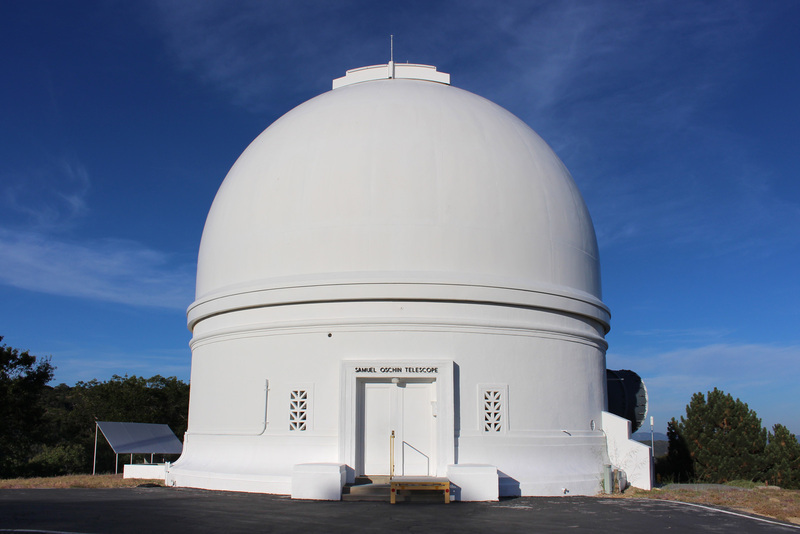 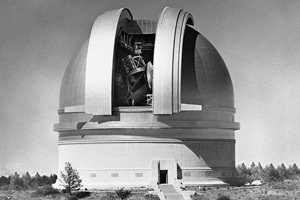 Both the Hale and 18-inch Schmidt telescope domes were constructed simultaneously in mid-to-late 1930s. 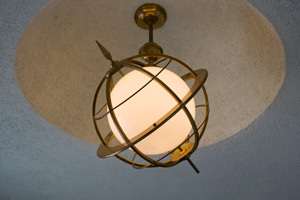 While both shared common Art Deco design elements, they also had unique design proportions tailored to the instruments they contained. 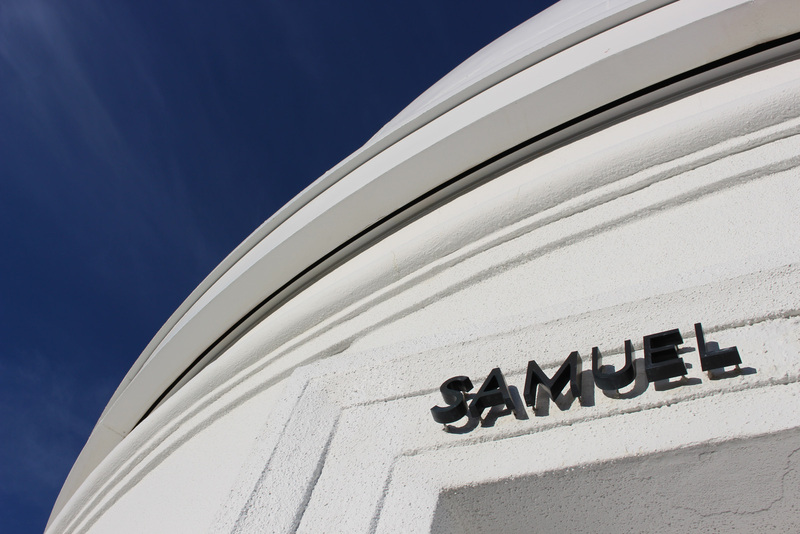 The Samuel Oschin Telescope dome was added slightly later (completed in 1939), and retains the same design elements expressed in a slightly different form. 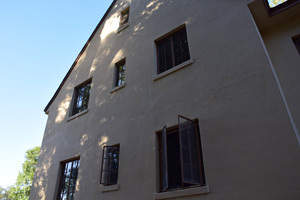 Other service buildings (the administrative offices and astronomer dormitory—the Monastery) similarly included understated Art Deco influences. 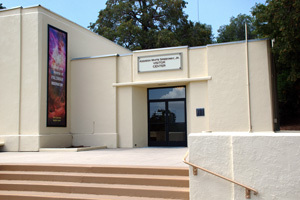 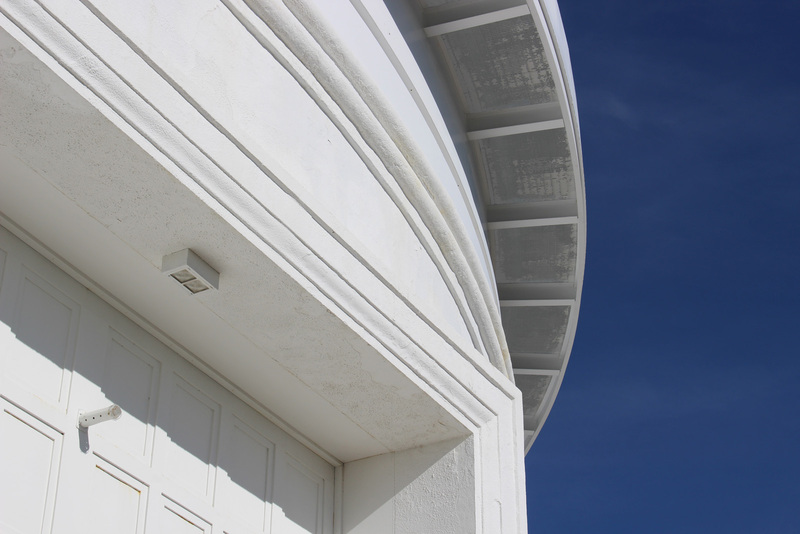 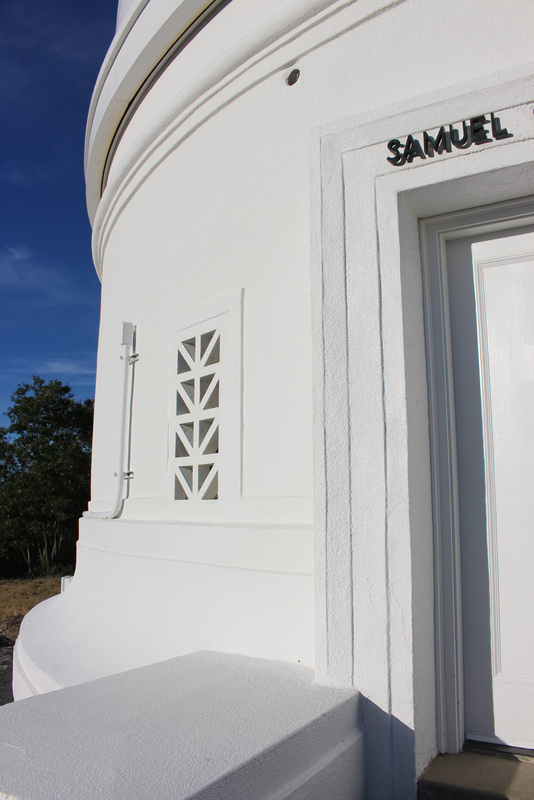 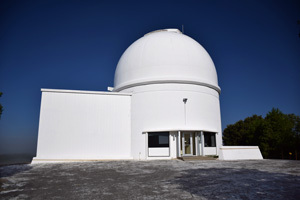 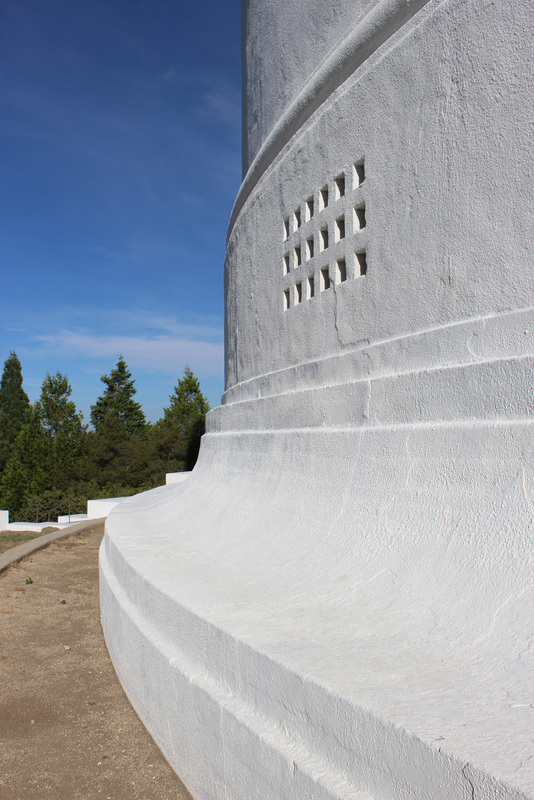 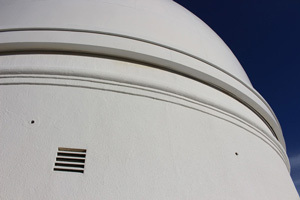 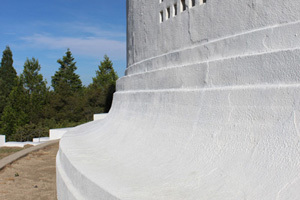 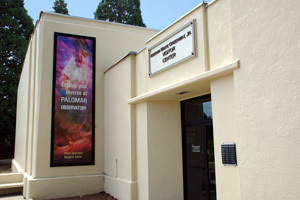 Finally, the 60-inch telescope housed in the Oscar G. Mayer Memorial Building was added in the late 1960s, but remains true to Porter's unifying vision for the Observatory and its architecture. 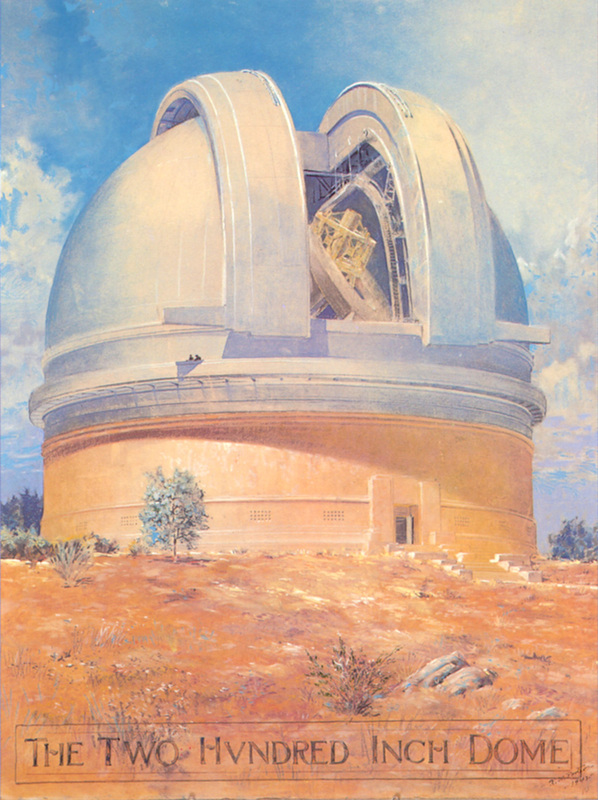 R. Florence, “The Perfect Machine,” Harper Perennial, 1994. 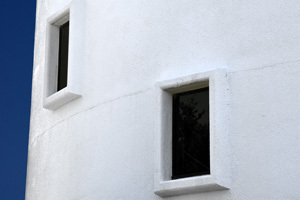 B. Willard, “Russell W. Porter,” Bond Wheelright, 1976. 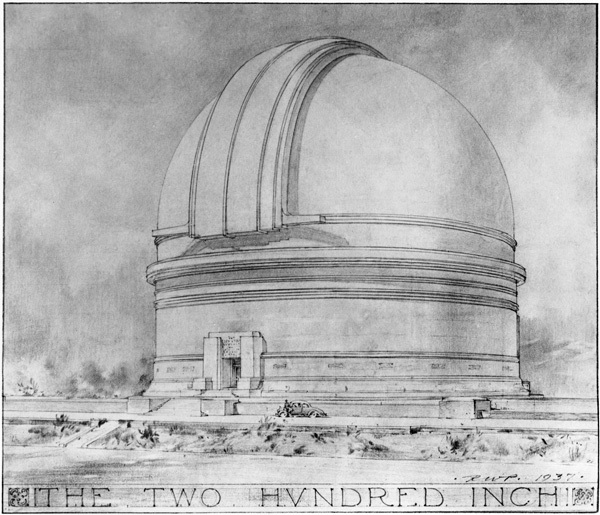 R. Porter letter to Observatory Council, 1936 (from the personal papers of Bruce Rule, Caltech Archives). 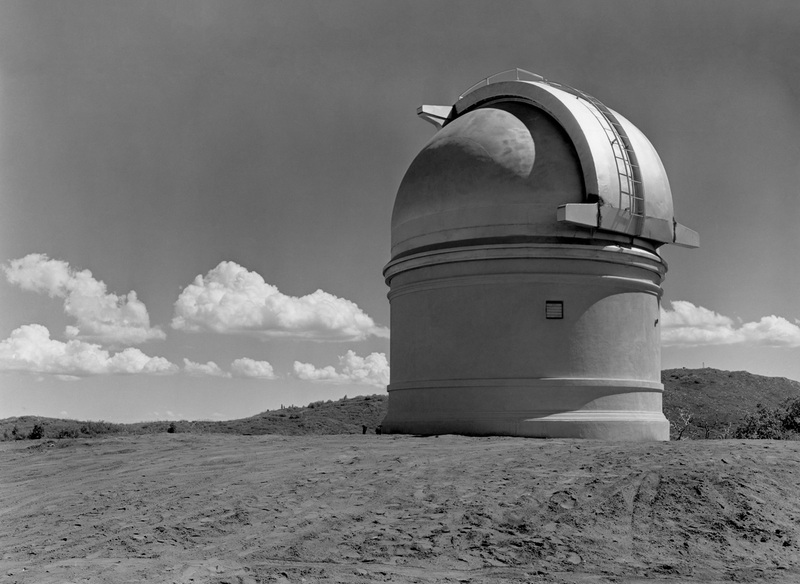 J. Anderson, “The Astrophysical Observatory of the California Institute of Technology,” JRASC, 1942.